"There are so many things I love about my Joovv. But the thing I love the most is that a blood test after just 7 weeks of owning it shows that my thyroid numbers and liver enzymes have decreased. " "I originally bought a Joovv based on a recommendation from a well known personal trainer who used a Joovv. I began using it on my face since the other reviews said it made their skin look better. I had a red spot on my left cheek for the last 4 years and it was misdiagnosed by a doctor as to what it may be. It was bigger than a quarter so I had to cover it daily before going out in public. Well the topical treatment he prescribed did not work and I tried many over the counter products over the years as well. Once I started using the Joovv it has lessened so much in redness and is looking so much better. I never thought a light box could do that! I will continue my daily use of it and am hoping one day soon I can report it has gone away. Thanks Joovv for saving my face!" "Very happy. A great start to the day definitely have more energy and feel more relaxed than on the rare days I don't get to use it." "Bought the joovv light to see if it can help with a genetic connective tissue disorder I have (Ehlers Danlos). Still too early to tell and I will need bigger one for best results. I wasn't sure what to think to be honest. BUT - I had two hard falls on ice this winter a week apart. First one I badly injured my shoulder and second one my tailbone. With EDS we dislocate and fracture easily. I had a torn rotator cuff and cracked tailbone. Used light on both. Shoulder was FINE in five days (I usually don't heal well). Tailbone in just over a week. Less than a month later, no pain, no loss of movement. I didn't need to use the physio prescription my dctr gave me. The only explanation is the joovv light. Both falls were bad and the initial injuries brutally painful. Even before the pain completely dissipated, the light hugely diminished it. Stopped pain meds on second day of both falls. " "My partner and I use it every day. Absolutely love the way it makes me feel and helps my joints." 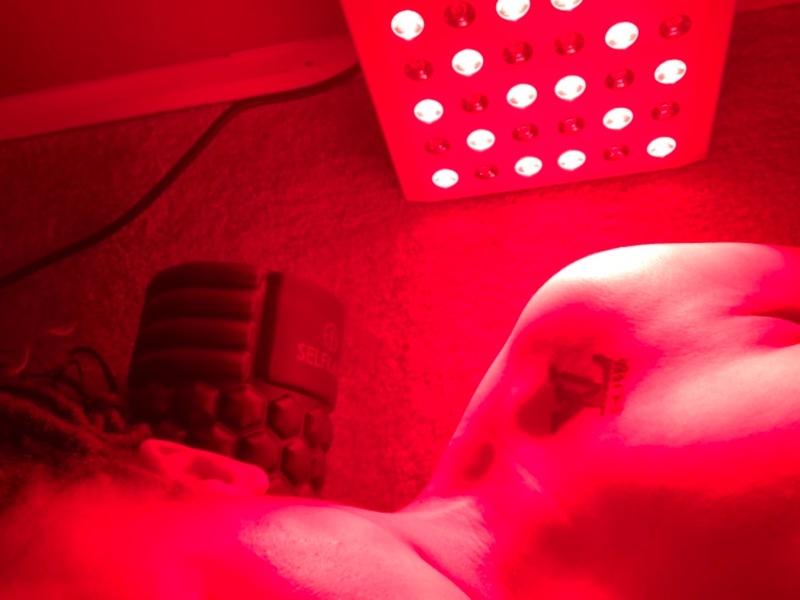 "Absolutely love all the health benefits of our Joovv light therapy device in the spa! We use it daily after treatments to speed healing, help with pain, and overall well being! All of our clients love it! 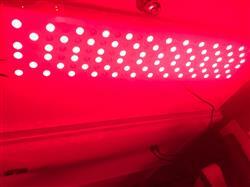 ❤️"
"Make s red light therapy easy. Had one issue with a unitnand Joovv replaced it right away. Great customer service. " "My skin has never looked better!" "I love how small and lightweight this product is. I can actually carry it around while I’m doing a treatment so I’m more likely to be consistent with using it as I can multitask. 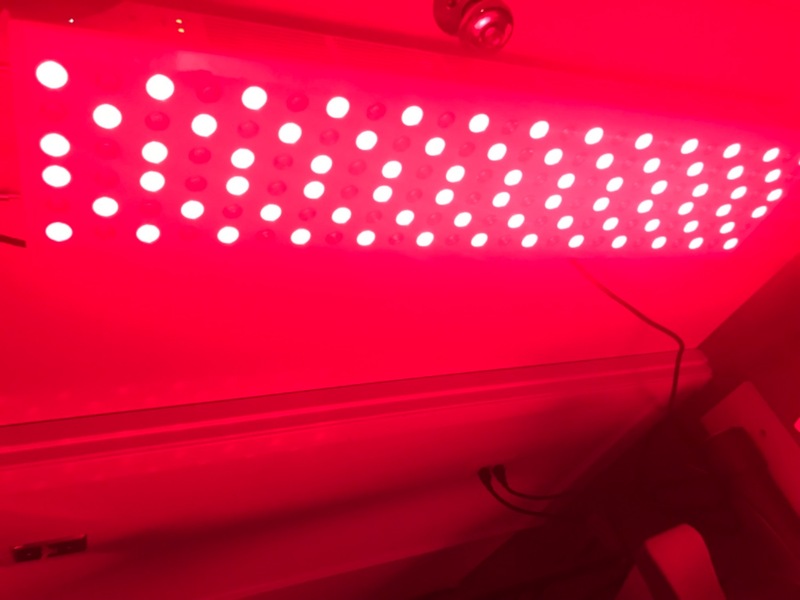 Red light therapy has really helped me with healing injuries or just general aches and pains." "It works! My back is almost healed!" "I take ten minutes a day to use the light on a recent surgery scar and I believe it has made the recovery go much quicker and smoother than just letting it heal on its own. Would highly recommend light therapy for all the benefits previously listed." "From the first Moment I notice that my whole system is smiling, not -ch only the face, it is as if every cell opens and smiles. with love Monika"
"It’s great the stiffness in my achilles they a tore has gone away. I use the Joovv in the morning and at night. " "I recommend the travel light , not sure how I managed with out it." "almost better than the mini because it is not only portable but I can target hard to reach places that mini was too difficult." "Just recently purchased a Joovv Mini. So far we have really enjoyed it. Right now it is winter and we enjoy getting some light on us. We have noticed that we both sleep better. Originally bought it for our dog. He has a bad knee and hoping it will help him. Too early to tell"
"I think this product is of great quality. I feel that I recover faster when I use it consistently and it helps me get going first thing in the morning. " "About one week after receiving my Joovv, my mother fell and fractured her femur and required surgery. She started using the Joovv about three days after her surgery, and her scar is healing more rapidly than it usually does in others her age (79)." "Ordered the Joov Go as soon as I heard about it on my favorite podcast. Delay , Don’t Deny and have traveled already with it and even use it at home while still in my bed doing my devotional it’s perfect thanks "
"I love my Joovv go. It’s so convenient works wonderfully on specific parts of the body.the travel case makes it easy to take on the go. " "I havnt used it everyday but when I do use it I feel a sense of well being." "I am so impressed with light therapy. I see a difference in my skin,I feel rejuvenated every day that I use the light. My arthritis has stopped hurting my on a daily basis.. My husband is now a firm believer and also fights me for light time daily.. This is remarkable "
"it is very comfortable feeling while using the joovv, the body gets relaxed and the skin fine lines are reduced slightly after few weeks of usage"
"I have the Joovv Mini and the Joovv go, I haven't use the Joovv go yet , but I think the Joovv mini and the go are excellent products and I intend to get a Joovv Solo or a Joovv Duo for a full body red light therapy in 2020"
"I like my new Joovv Go, but I've only used it a few times so far. I travel quite a bit in my work, and I bought the Go to use on my many trips. The Go is obviously well designed and a quality product like the Joovv panel I have at home. But it could use a portable stand. I really haven't found a good way to hold the Go and maintain a constant 6 inch-ish distance while holding the Go in my hands. Any suggestions?" "It really seems to help with my aches in my hips and joints. thank you for this wonderful product." "I like my little light, I find it very helpful for the low back pain I have been having. If I use the light at night, then it is less painful getting out of bed inthe morning. With the Joovv Go, I can lay on the couch or bed to treat my back"
So far, I am in love! "I am enjoying using the joovv every evening. I have built a routine of listening to a podcast and doing my face, then arms. then hips and by then I am drifting off . . ."
"I’m impressed at how well this machine hold a charge . I purchased it to help my husband with a couple of difficulties. He uses it on different areas while laying in bed. He feels better and is so happy to be doing something great for his health. " "Well I am 71 years old and use both lights for 20 minutes each night for almost two months now. My right knee cap used to hurt most of the time but has stopped this past month or so. I also work out three times a week at the gym. My body mass is 25.4 so I am not overweight at least by todays specs. My facial skin seems better but any other improvements would be unnoticed . My wife has stated loss of sun spots on her forearms. Most of her pain comes from either one of her thumbs. They still hurt her so no improvements other than that."